MCI has state-of-the-art manufacturing plant located in Gurgaon (Haryana), which is 20 kilometers from Delhi (capital of India). It has rectangular Saladin Box equipped with mechanical turners with capacity to produce nearly 30000 tons of Barley Malt. 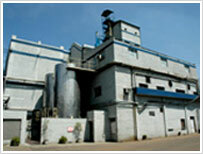 Malt Extract is equipped with 2 stainless steel falling films evaporators, 5 effect and 4 effect with 3 meura mash filter, with a capacity to nearly 30,000 tons Malt Extract, 1000 tons of Dried Malt Extract (DME) and 1000 Mt of Malt Flour Capacity per annum.